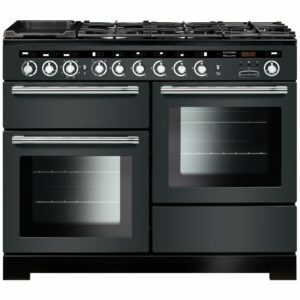 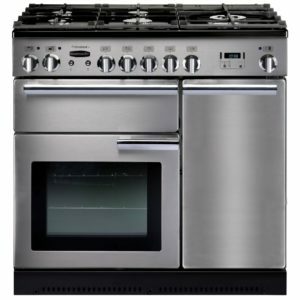 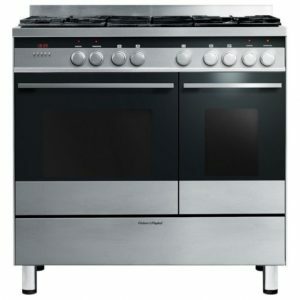 Belling impress again with this striking black range cooker! 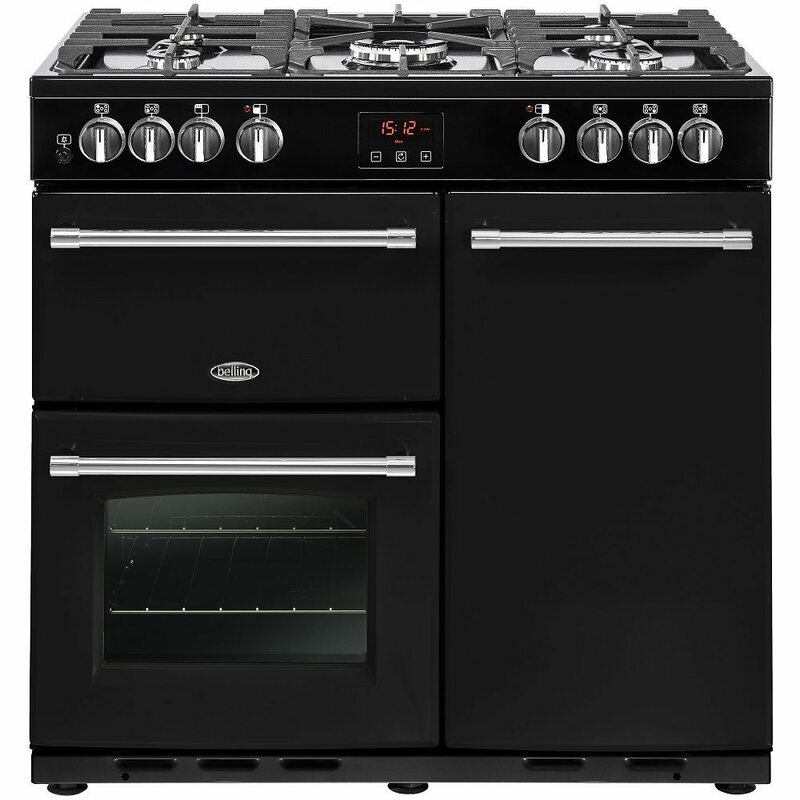 Made here on British soil and full of handy features, there’s a lot to love about this cooker. 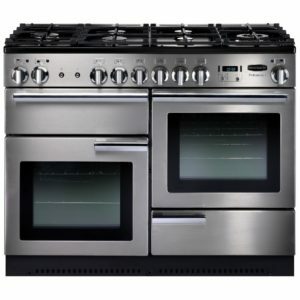 With its two electric ovens, five burner gas hob and grill, you’ll have plenty of space and flexibility to cook to your heart’s desire. 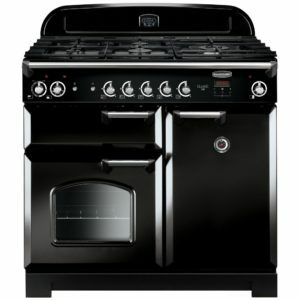 With an easy clean enamel interior so you can keep your oven as good as new, it’s simple to maintain as well as create your favourite dishes. 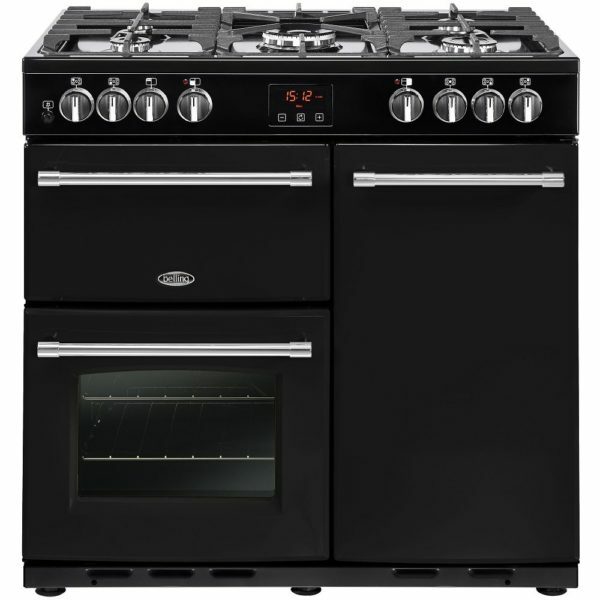 The energy efficiency rating on this model is A/A and it comes with a one year parts and labour warranty as standard.